In the Prep School and Early Years Department at Manor House, we promote and teach British Values as laid out in the 2011 Prevent Strategy, which were reiterated in 2014. These values are taught through PSHE, Religious Studies, PSED and Understanding the World lessons. The Values are reflected throughout the whole of the Early Years and Prep School departments. They are considered when planning for the children and are indicated in the activities provided. We believe that actively promoting British Values includes challenging pupils, staff or parents from expressing opinions that are contrary to British Values, including extremist views. Here are some of the ways we put British Values into practice within the departments. 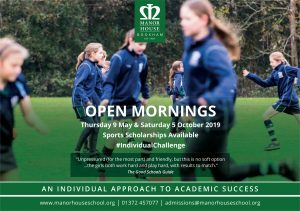 At Manor House, we believe that it is important that we create opportunities for the children to make decisions together and value the ideas of others. Each half term, the children in Early Years have the opportunity to vote on their role-play area and decide what goes inside. The Nursery class and Kindergarten class have circle time puppets to ensure the children become used to talking and listening to each other. Reception class teachers use lolly sticks to encourage the children to take turns and share responsibilities, such as being a daily leader. 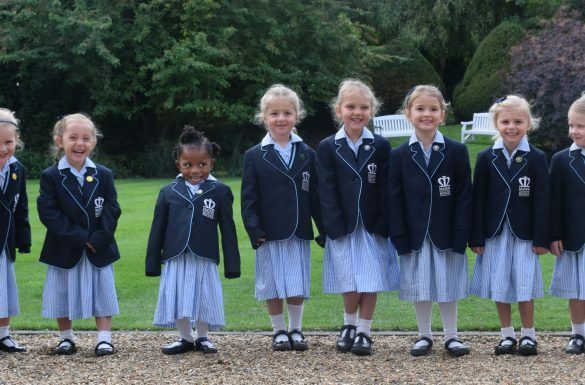 In the Prep School, all girls have the opportunity to vote for their class Form Captain, Deputy Form Captain and Games Captain at the beginning of each term. In Year 6, Prep School House Leaders are voted for termly. In addition, Year 6 girls choose the table they wish to ‘monitor’ at lunchtime and with whom they wish to share this responsibility on a fortnightly basis. At the start of each academic year, each class from Reception to Year 6 vote for a School Council Representative. In addition, KS2 pupils choose a Science Ambassador and a Food Committee Representative (Y6 only). At Manor House, we believe that children need strong boundaries and codes of behaviour in order to make them feel secure at school. In the Early Years department, Reception and Kindergarten children worked together to create some class rules which are displayed in their classroom. These are referred to by all Early Years children as a way of understanding how to behave in school. They are encouraged to share toys and resources. Class rules are also created and displayed in the Prep School classrooms. Pupils understand the need to stay safe in the classroom, as well as in the wider school environment and at break times, and follow rules on how to do so. They know when lessons start and finish and move around the school quietly, so as not to disturb others. At Manor House, we believe that pupils need to feel secure enough to be able to make choices in a safe environment. in Early Years are able to choose from a variety of child-initiated activities each day, which are developed around their interests. They can also choose if they would like to learn inside or outside. Reception children are allowed to choose their own lunch and Kindergarten and Nursery children have a choice of dessert. Reception children are encouraged to choose their own reading books and library books. In the Prep School, pupils also choose their own lunch. Girls are encouraged to select their own reading books from the scheme and bring in their choice of reading materials from home. Frequently in lessons, girls are given the opportunity to make choices in the way they will carry out a task, for example, in Design Technology they plan the ways in which their product will look and be different from those of others when finished. 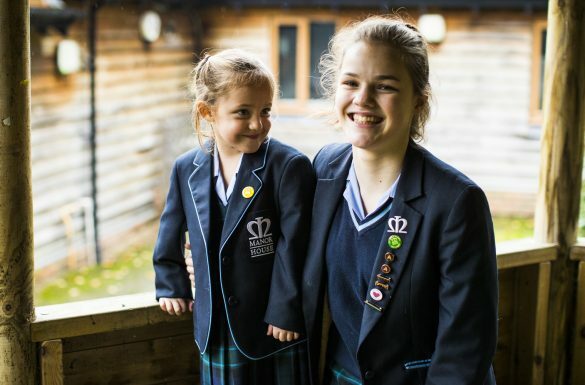 Girls are encouraged to join a wide variety of extra-curricular activities that are of interest to them, for example, Netball, Bridge, Art, and Choir. At Manor House, we believe that children should be aware of the differences between themselves and others and respect those differences. The children in Early Years learn about their community through Understanding the World lessons. They celebrate Mother’s Day and Father’s Day and cultural events such as Christmas, Eid, Hanukah and Chinese New Year. We welcome families into the school to help us to share their own customs and celebrations. The children take part in a Nativity Play and celebrate each other’s achievements at the end of the year in the Summer Showcase. Reception class work with learning partners and respect the other person’s opportunity to talk and share their ideas. All classes are encouraged to behave in a kind way to each other, which is continually discussed during circle times. All classes in the Prep School take part in whole school assemblies, where they celebrate each other’s achievements. KS2 girls attend the annual Prize Giving evening, where the school joins in celebrating each other’s achievements. We celebrate a range of cultural events such as Christmas, Eid, Hanukah and Chinese New Year, mostly through Religious Studies, PSHE and assemblies, and as part of cross-curricular learning in other subjects such as English, Art and Humanities. KS2 girls also take part in the Junior Production, which may cover a variety of themes. All year groups take part in a range of extra-curricular visits, including places of worship. Assemblies and discussions involving prejudices and prejudice-based bullying have been consolidated in Religious Studies and PSHE lessons.